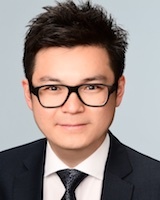 Dr Jerome Ha is an Australian-trained ophthalmologist with interests in cataract, glaucoma, retinal diseases and ophthalmic plastic and reconstructive surgery. Dr Ha graduated in Medicine from The University of Melbourne, Australia and further completed a Master in Medicine, Ophthalmic Science at The University of Sydney, with distinctions in Ophthalmic Anatomy and Physiology. He has also published research papers on glaucoma, medical retina and oculoplastic in peer-reviewed journals. Dr Ha is a RANZCO (Royal Australian and New Zealand College of Ophthalmologists) certified ophthalmologist and fellowship trained oculoplastic surgeon. He commenced training as an ophthalmologist at the Sydney Eye Hospital, Australia. He completed a fellowship in comprehensive ophthalmology in Sydney. He also further completed his sub-specialty training in oculoplastic at NHS England, United Kingdom, under the guidance of Mr Suresh Sagili and Mr Robert Dapling. During his oculoplastic fellowship, Dr Ha has gained experience in eyelid, tear duct and eye socket surgery. He has been involved in the surgical training of future Ophthalmologists both in Australia and the United Kingdom. Dr Ha’s clinical practice is dedicated to the medical and surgical treatment of eye conditions. He tailors the treatment plan to the specific needs of individual patients. He is a caring surgeon and doctor. His passion in oculoplastic surgery is balance in symmetry. He strives to restore and rejuvenate the tissues around the eye.